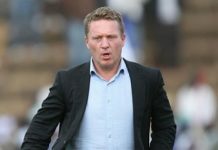 The Harare Derby will present another opportunity for troubled Dynamos to turn their fortunes when they clash against rivals CAPS United at National Sports Stadium this afternoon. The Glamour Boys are yet to win a match, having collected only three points in this season. Their nemesis, on the other hand, has lost once and won twice after round six. Today’s encounter will see Denver Mukamba who is on loan from Dembare featuring for the Green Machine. Right-back Peace Makaha and forward Emmanuel Mandiranga have fully recovered from injuries and are available in Lloyd Mutasa’s squad. The two teams have met before this year in the ZNA Charity tournament which Dynamos won 1-0. In the last ten league ties, Chazunguza have also maintained dominance, winning four times and lost twice. Meanwhile, CAPS United are currently in the 7th position while Dynamos is on second from bottom. 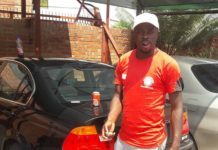 At Barbourfields, Highlanders will be hoping to capitalise on FC Platinum’s slump yesterday to move to a second place when they face Shabanie Mine. Bosso are just two points behind on third and are still to lose a match. The Chinda Boys are sitting outside the top ten on 11th position with seven points. In another match to be played this afternoon, Chapungu host Herentals at Ascot Stadium.